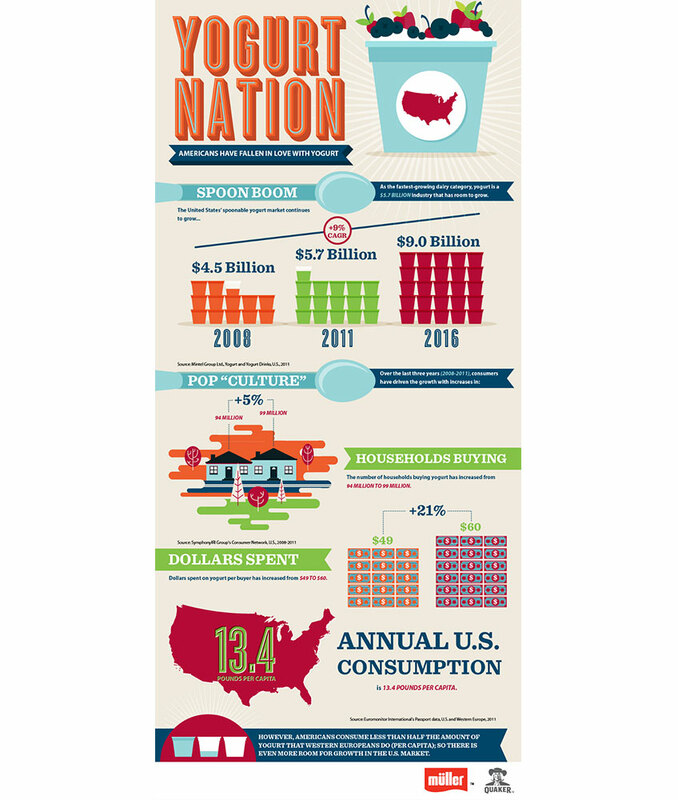 Frozen Yogurt looked like a fad, but in an open letter to fastcasual.com, Menchies CEO Amit Kleinberger provided data that showed an expected 3.4 percent growth annually. Kleinberger, who made Forbes list of top CEO’s under 35 in 2013, has taken Menchie’s from an underdog when it began franchising in 2008, to top dog in the Frozen Yogurt category in America, third globally – and growing. The secret to Menchie’s rapid rise despite serious competition from new and established brand is it’s appeal to Millennials through the self-serve formula. Most chains are now aware how important personalization and customization is to Millennials. Menchie’s self-serve/make your own model is the perfect example, and Menchie’s keeps it fresh by partnering with other beloved brands to create special flavors such as Cinnabon and Nutella. Takeaway: Foodservice brands should not only be looking to make items customizable, but should be partnering with other brands to create unique sauces or toppings. Consideration can also be given to packaging and selling sauces that are a hit. It’s not surprising that a young CEO like Kleinberger, who appeared on the reality TV show “Undercover Boss,” would understand how to get social right. 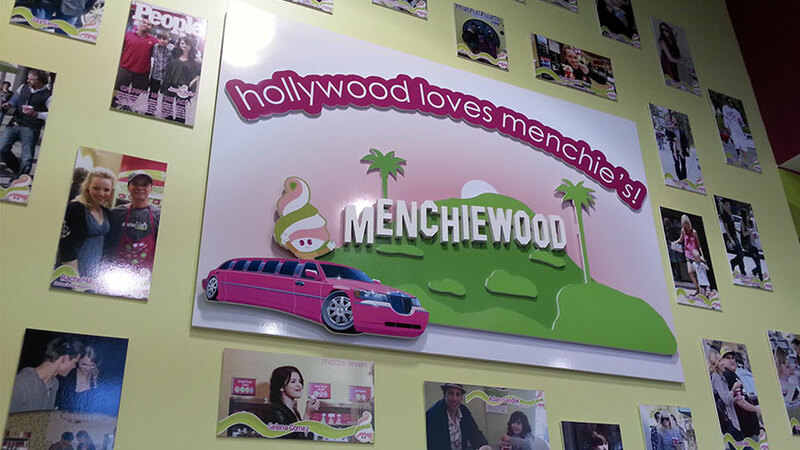 Every Menchie’s has a “Menchiewood” display that features candid photos of celebrities scooping up some of their famous froyo. Not only do they display mega-stars, but also they celebrate local celebrities, often posing with staff in the store with the location noted in a caption. A Google search of “celebrities eating Menchies” will pull up pages and pages of celebs carrying Menchie’s deep pink cups – a clever tactic to drive brand recognition. While it pulls on the cache of celebrities, it also brings them down to earth, suggesting that Menchie’s is an equalizer. Takeaway: The tactic here is relatively simple and taps into a key facet of Millennial and Gen Z behavior – relating personally to celebrities – and brings it back to the brand with the bright pink cups. Menchie’s leads fundraising campaigns for all kinds of causes, ranging from small local organizations to national events. Franchise owners are given discretion about what they want to support locally, which strengthens their relationship with the community and de-emphasizes the brand as a large corporate chain. This is not a once-a-year obligatory campaign – every month the brand is supporting a new cause, sometimes with celebrity support, and it’s clearly showcased in the messaging at Menchie’s. Takeaway: Allowing franchisees to support local causes as well as contribute to national events ensures they are seen as a positive force within their neighbourhoods. Coffee shops and bars are great places for adults to spend some casual social time. For teens and families, the options are limited. Menchie’s has taken advantage of this. Board games and chalk boards indicate customers are welcome to take their time and hang out. Takeaway: Pushing people out to turnover tables is a frustration for this demographic. Ensuring they have access to wifi, and making them feel welcome to stay will increase the likelihood of repeat visits. Frozen Yogurt hits the healthier-for-you target. Although a Menchie’s cake batter yogurt sprinkled with spoonfuls of candies and chocolate sauce couldn’t exactly be called “healthy”, the brand doesn’t use high-fructose corn syrup and offers a number of no-sugar-added and low fat yogurts. They emphasize freshness in their bright green and pink color palette, with cues from images of fresh fruit and the cold silver fruit bar supporting the message. Takeaway: Food does not have to be 100% organic, local, fat-free to meet Millennial and Gen Z’s desire for healthier options. But making an effort to improve the quality of the offering, reducing no-no’s like trans fats, glucose-fructose, hormones and antibiotics, will improve the brand perception among this demographic. It is important that the information is easily available to them and communicated throughout all brand touch points. Frozen yogurt has edged in on the cold treats category all over North America, but Menchie’s has done a better job of any in it’s category appealing to Millennials and Gen Z. The key takeaway is that it’s not one thing, but a combination of a number of key elements that work together to make Millennial and Gen Z customers feel welcome and understood.